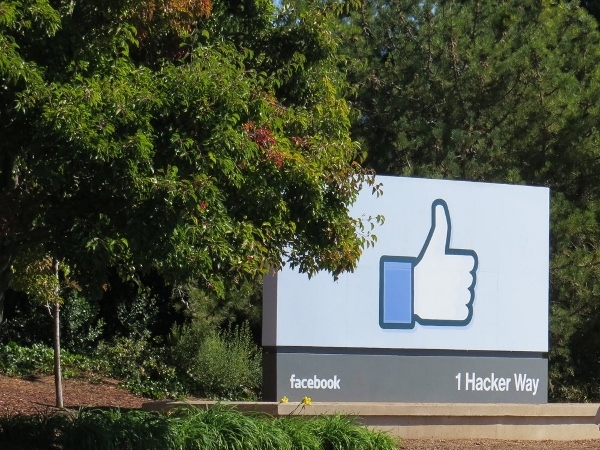 Facebook is not only famous for being one of the biggest social networks in the world, it is also famous for having one of the best office environments in the world. 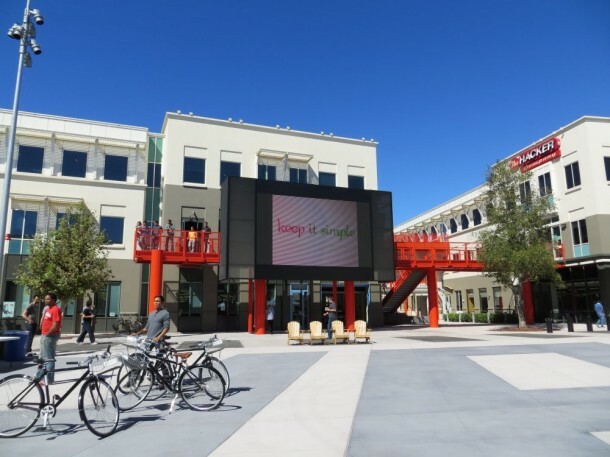 Facebook recently opened doors to its new campus at Menlo Park, California. The campus houses dozens of facebook offices and buildings. 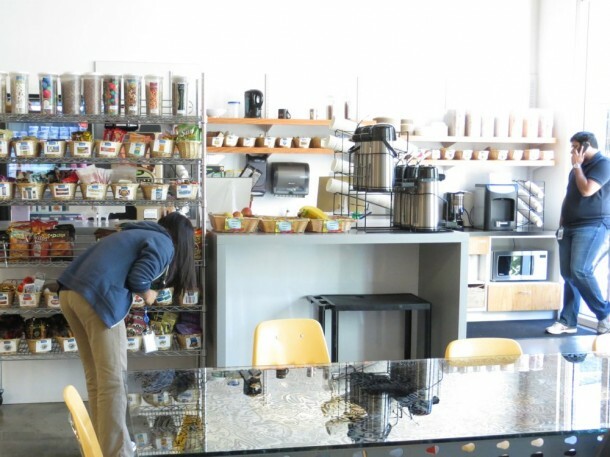 From work offices to restaurants that serve free food, this campus has almost everything inside it. Today we will take you to a visual tour inside this amazing campus. Outside the main entrance to the campus. Inside the campus, it looks like a miniature town. 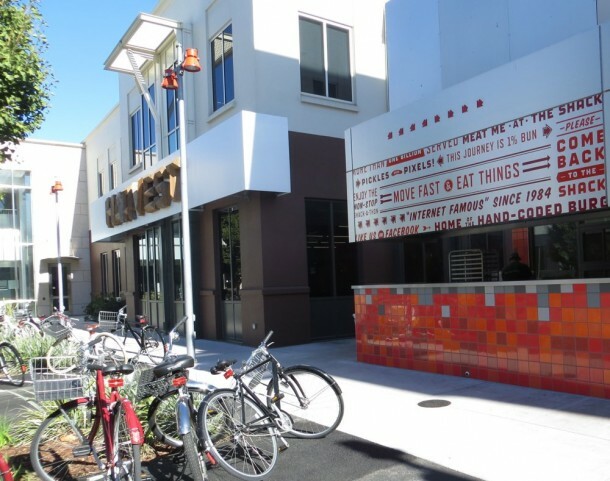 Facebook hired two consultants from Disneyland to make it look like a proper town. 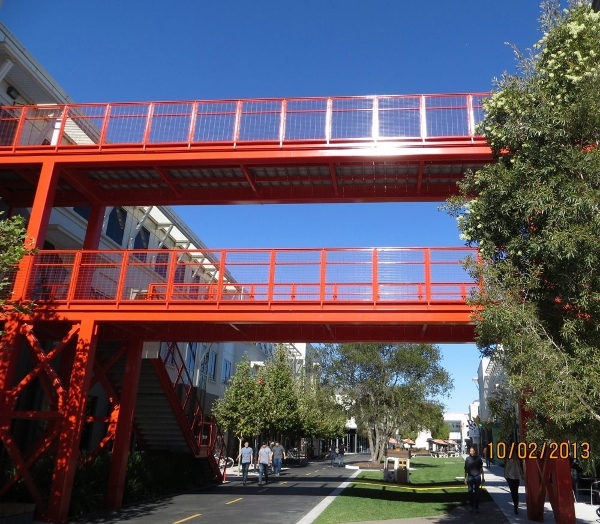 These bridges allow movement between buildings without needing to go to the street. This giant screen installed in the main town square keeps flashing different mottos and quotations. 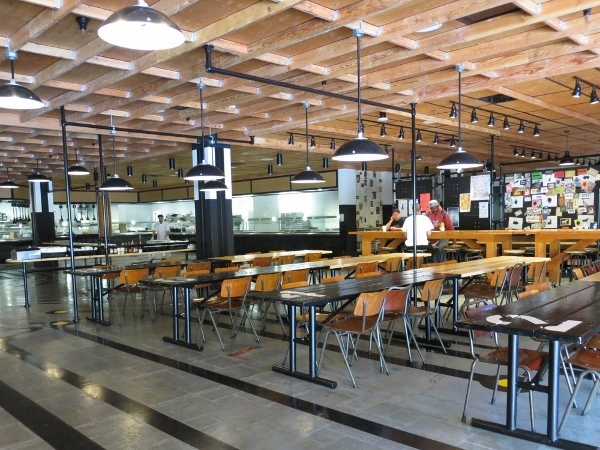 This is one of the 9 restaurants that serve free food for employees. Even the vending machines are free and you can choose from a wide array of drinks. No wine though, since they don’t want their employees going drunk during working hours. 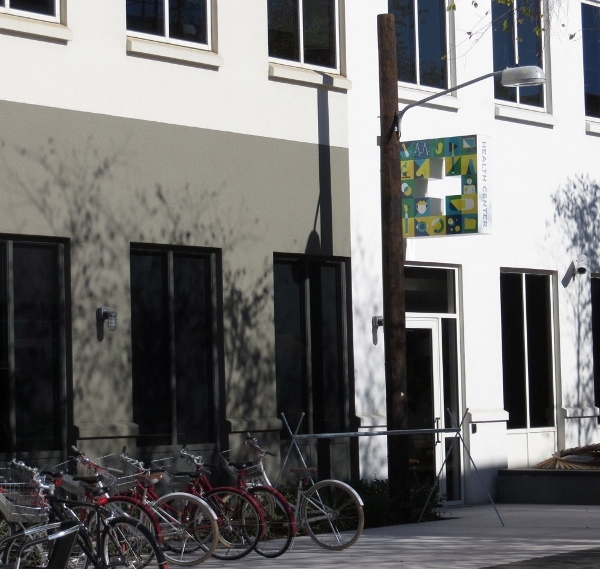 The campus boasts a free health center where you can see a doctor at any time of the day. Any minor ailments can effectively be treated here. 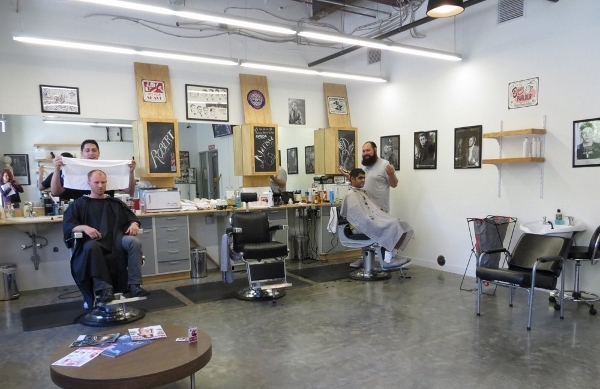 The campus has even got barber shops inside. Want a free haircut? Just hop in and get your hair styled. 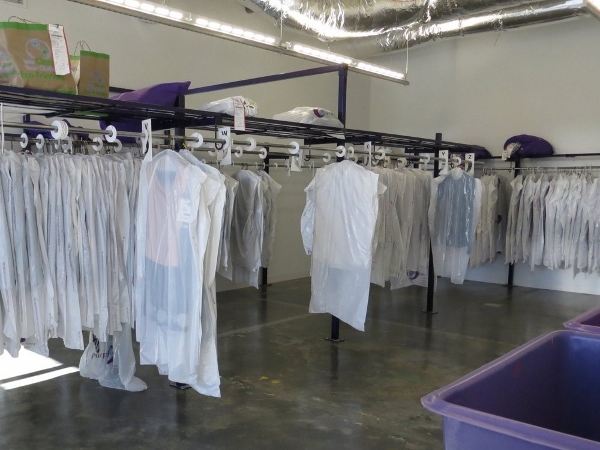 Facebook employees don’t need to do laundry on weekends since the campus has a laundry shop that provides free laundry service throughout the week. 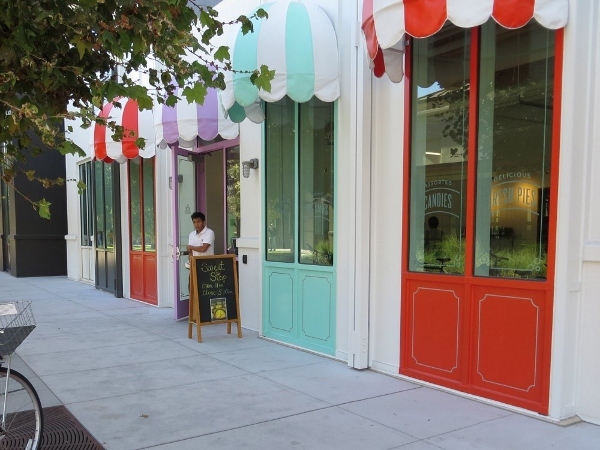 One of the many sweet shops in the campus where you can taste most of the sweet delicacies. Want to exercise while you work? 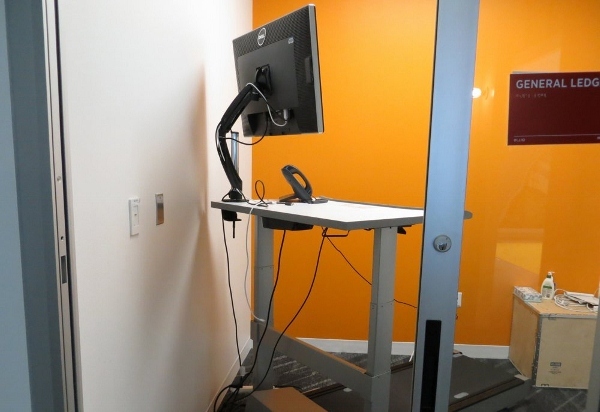 You can use one of these treadmill tables! 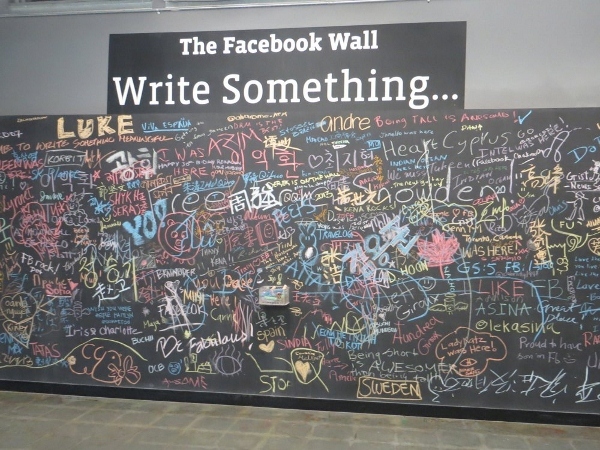 There is a giant “Facebook Wall” in the office where you can write whatever comes to your mind. 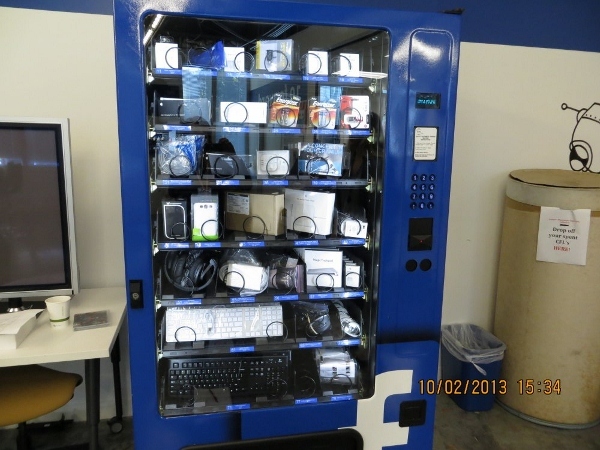 The campus has many electronics vending machines that give out free electronic items. They are ofcourse free. However, each item still has their prices listed. Into music and arts? 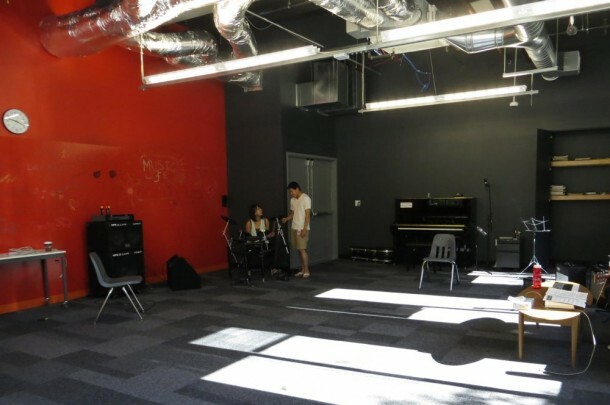 You can get music classes at the music room inside the campus. The campus also has a mechanical shops where skilled technicians make all sorts of stuff for the campus i.e Garbage cans, benches etc. 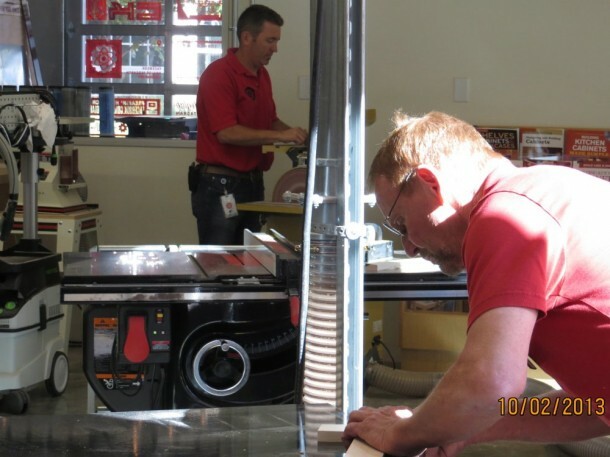 Employees interested in learning the art of crafting can always join in. 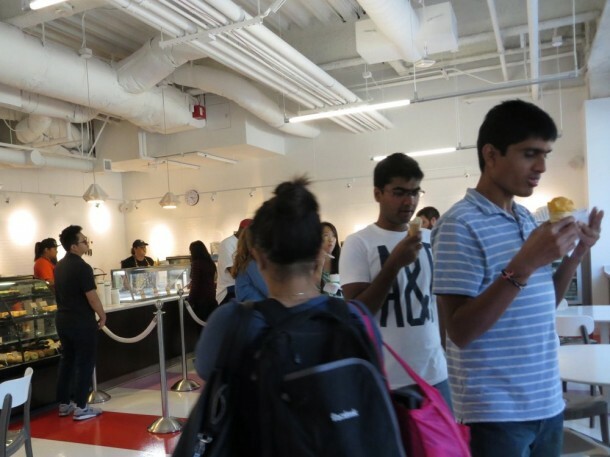 Almost all of the food served inside the campus is homemade, this makes the new employees suffer from “facebook 15”, a condition where employees gain 15 pounds when they join the company. 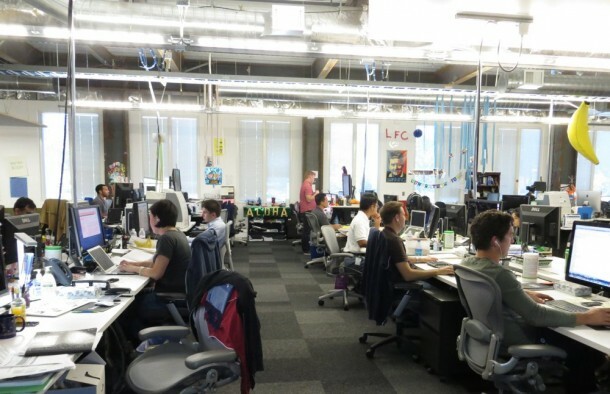 Employees work on long desks and open halls. There are no private offices. Employees often crack jokes related to their fellow colleagues. 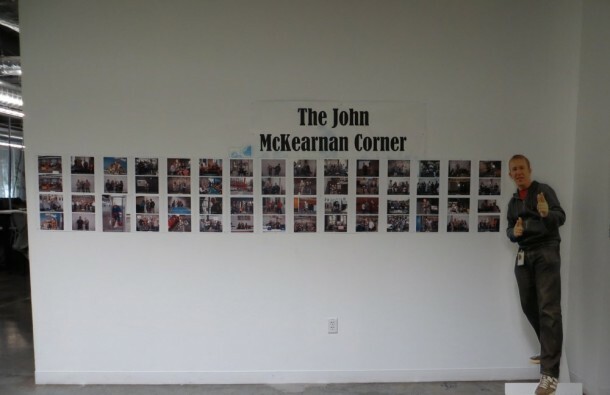 Here they have printed the photos of one of the colleagues and put it up on his “Wall”. For those not interested in Restaurants and dont have the time, they can use the microwaves to cook quick snacks. Humor can be spotted almost everywhere. 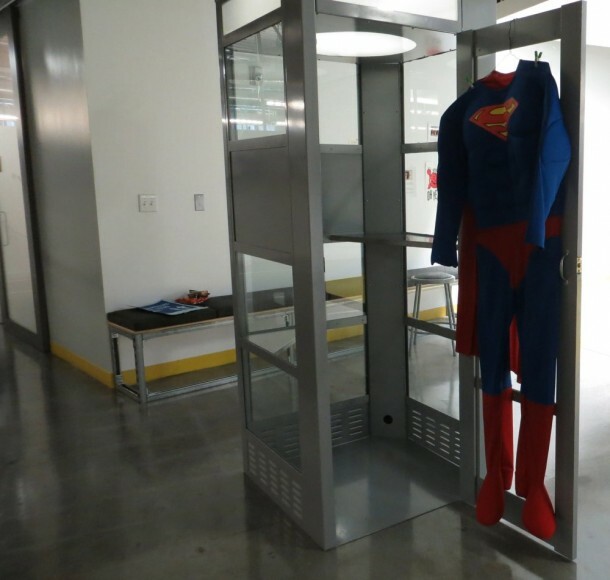 Here we have a superman dress along a phonebooth. You can travel around the campus on bikes. 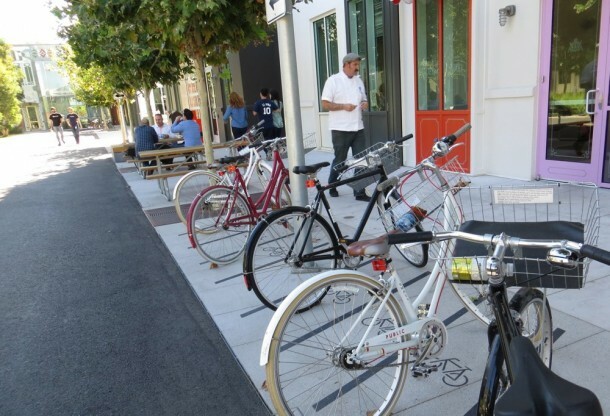 Facebook offers free bikes to its employees for roaming in the campus. 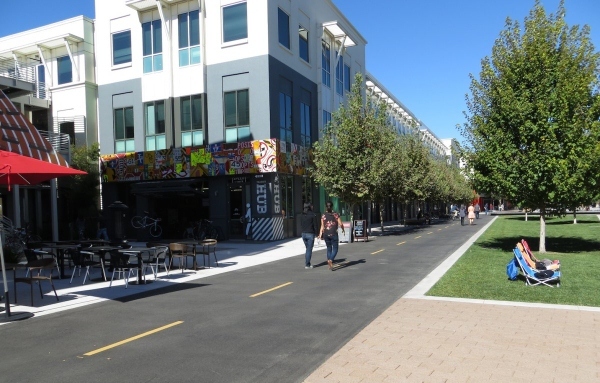 Facebook campus is truly a city that can survive on its own! 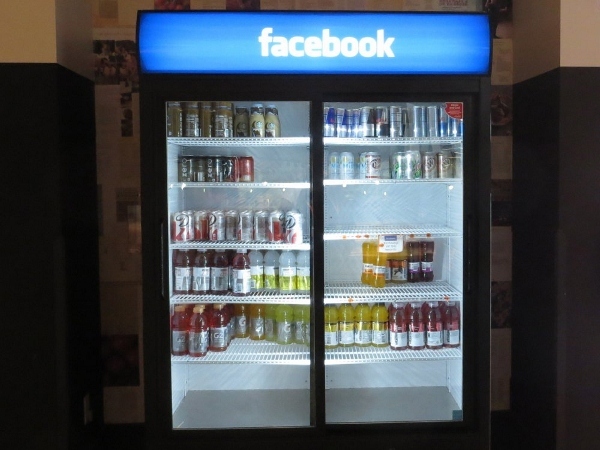 Good news for Facebook employees who are working here when apocalypse happens.